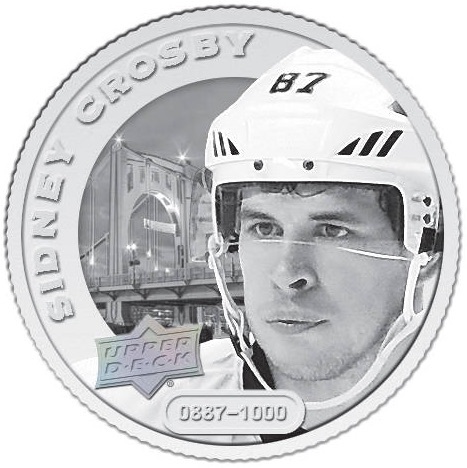 Although perhaps not as common with sports collectors, coins are among the biggest options in the overall collectibles market and UD looks to tap into that with the 2017 Upper Deck Grandeur Hockey Coins Collection. 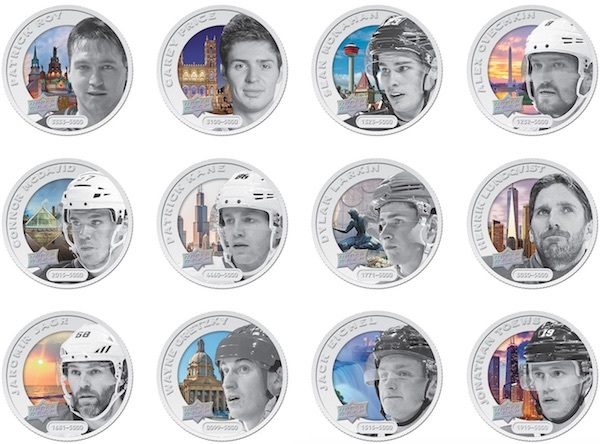 The legal-tender, minted coins offer NHL collectors top players depicted on precious metals in four different forms. 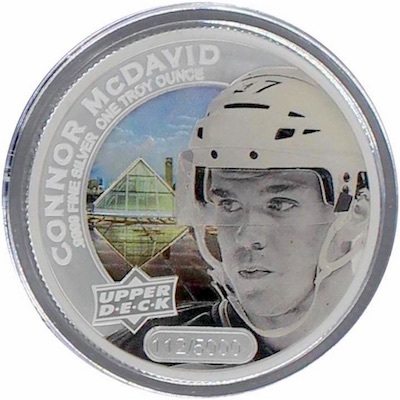 Part of the first series, the 2017 Upper Deck Grandeur hockey coins feature 20 former and current stars including Wayne Gretzky, Sidney Crosby and Connor McDavid. 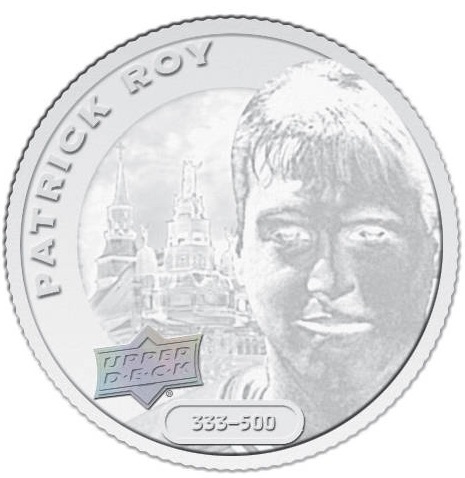 The main portion of the release includes 99.99% fine silver coins in one troy ounce form. The silver coins come in base Colored Silver (#/5,000), along with High-Relief Silver (#/1,000), and Silver Frosted (#/500) editions. There is also a very limited 99.99% 24-karat Gold version. These 1/4 oz. coins are numbered to just 100 copies. 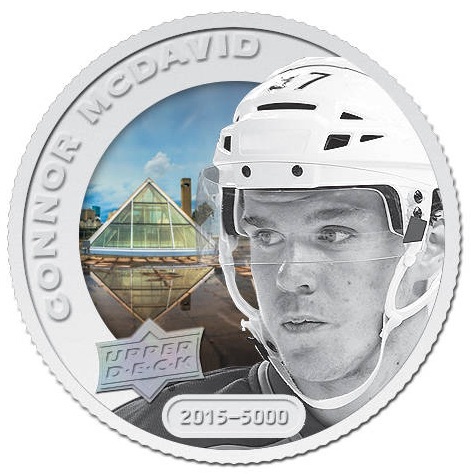 As far as the design, the 2017 Upper Deck Grandeur hockey coins feature a close-up shot of each player along with a background image landmark relevant to the city where they play or played. Also, each coin is encapsulated. 2017 Upper Deck Grandeur Hockey Coins is priced at $100 per blind pack or $499 for a collector box with four random coins including "one of three rare coins." The collector box also acts a display for up to 20 coins. 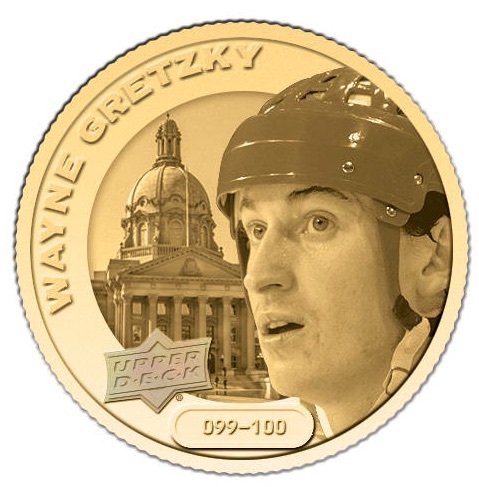 The collectible coins are sold through the Upper Deck ePack website as well as at Canadian Imperial Bank of Commerce (CIBC) banking centers and CIBC online. 20 coins. Depicted city is noted for each coin. Shop specific coins on eBay. Coin Versions: Colored Silver #/5000, High-Relief Silver #/1000, Silver Frosted #/500, 24k Gold #/100. Why does the box only hold 19 coins? The upper left spot on the top row is closed.